Makeup And Fashion Freak: FEW UPDATES..
No makeup just some eyeliner and kajal. and as far as Diwali is concerned..same thing nothing too heavy simple and sober..will upload the saree pic sometime later OK.
later, i did a french manicure for few days i kept it red and then i did white. few days later my thumb nail broke and i was nearly into tears..sob sob..just look at the shape..slowly i had to cut all ma nails short..but no worries they are growing rly fast..
Hope you all had fun reading this. The second saree looks nice, do post a full lenth pic! 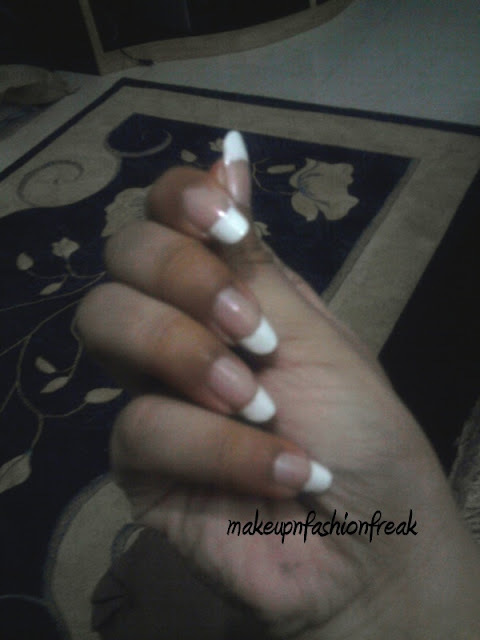 Please Do a tutorial on your nail art & french manicure! liked your mini piece of jewellery..is it the mangal sutra? 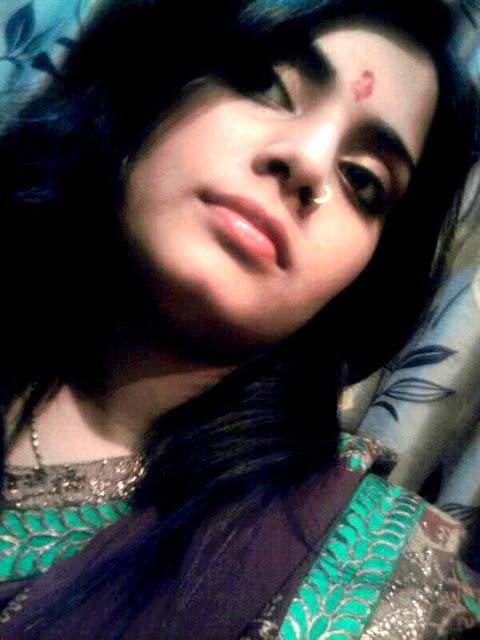 hi uzma,ty for checking my blog..sry had no time to click a ful length pic, though i wanted to..will soon do the tut ok..
You look lovely in the sari. I especially love the nose ring. It really suits you. Also like the red tips. aww cho cweet thnx deeptima..
you look so pretty! so do your nails too!